Many Malaysians don’t think about planning for their deaths, which leads to a more difficult time for those left behind to settle the legacies, insurance, belongings, etc. 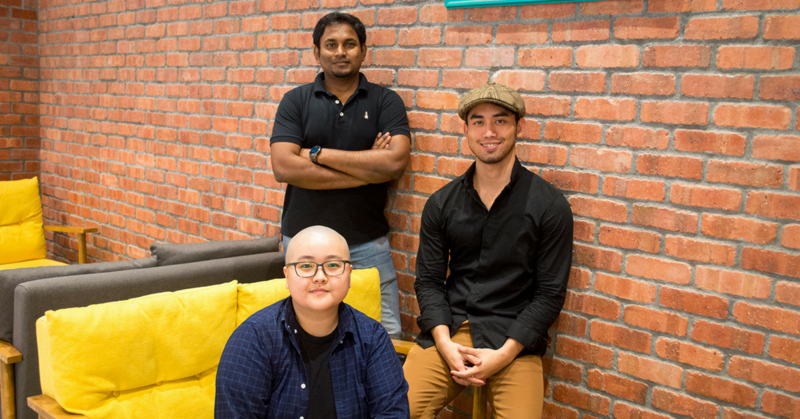 The founder also thinks that the current way for Malaysians to deal with death is too fragmented, and wants to design a platform that helps to streamline the entire process on one platform. Bereev is currently in beta, and will see a full release in April. Here’s a difficult question—what will happen after your death? No, not what awaits you in the afterlife. But rather, what will happen to your family once you pass on? Could your family find all the information they need like the title for your land and documents of your life posessions? If you have life insurance, is your family aware of it and do they know where the documentation is? Do you have anything unsaid that they need to know? Will they even know what to do at all in the event of your demise? Currently, the way to deal with your own departure is too fragmented, with a lot of moving parts. Typically, you’ll start with a will, and if you have more to spend, insurance. Bereev aims to be the blueprint that helps walk your family through the entire plan, and holds everything together to make your eventual parting easier for those left behind. “Most of us would prefer not to think about it but without a plan, our loved ones will end up bearing the consequences,” said the description of the platform. This statement comes from a place of personal loss. Founder Izumi Inoue came across this situation up close and personally when her grandmother passed away. It was a chaotic experience for the family, and led to some sour feelings on Izumi’s part. “I found myself wondering whether our family actually cared for my grandmother, but after the moment passed, I realised that wasn’t the case,” said Izumi. She hated how they dealt with her passing. One year later, Izumi’s grandfather passed away as well, but it was a markedly different experience. Before his departure due to stage 4 parotid cancer, Izumi’s grandfather had very frank conversations about his final wishes, cleaned out his own room, and made arrangements for his passing. When his time did come, the contrast was obvious to Izumi. The smooth transition allowed the family to deal with their feelings and properly grieve for the dearly departed. So she turned her harrowing experiences into a legacy planning platform. Still in beta, Izumi admits that it is now built mostly on “sweat equity”. But once completed, Bereev will be a freemium service where users can be guided through the planning process, in a more streamlined and approachable way. If users choose to pay, they can also plan for their departure preferences, management of delicate documents and information (medical records, insurance, etc), or most poignantly, leave behind last words and messages. In the interest of protecting all of this sensitive information, the entire platform is fully encrypted with AES-256, meaning that not even the internal team has access to your information. The team will be adding other security measures, like a two-factor authentication and regular security audits led by an ex-security specialist for Royal Bank of Scotland, CitiBank and Standard Chartered. They’re encouraging Malaysians to actually face their eventual demise. In their mission to bring Bereev to mainstream social consciousness, Izumi thinks that they’ll have to overcome social taboo, as “broaching the subject of mortality has always been a huge ‘no-no’ in the Asian community”. So they decided to change the narrative instead. It’s not about being morbid, but instead it’s being realistic and logical. That’s why for the first 12 months, the team will be focusing on acquiring people who already have existing wills or life insurances—people who already have these concerns in mind. While they’re still in beta and not monetising yet, the platform has already captured the eye of Khazanah Nasional Entrepreneurship Outreach Programme, and was selected as one of the 30 startups that made it to the final acceleration stage. Now, they’re also part of the WatchTower and Friends Accelerator programme. “I would describe the experience to be ‘catapult-like’. Sam, Kash and the team have helped us open plenty of doors and helped us refine our enterprise model which will be one of our low-hanging fruits in terms of commercialisation,” said Izumi about the experience. The platform still has far to go before its full version is launched, but the idea of at least helping your family deal with your passing is an important one. Too often, we will see stories of families that were left defenseless once the primary breadwinner passes away, especially in instances where vultures come sniffing for your property in their passing. With proper planning, you can help reduce the instances of families fighting over your worldly possessions too. That being said, the success of the platform will now depend on how the team decides to execute. The clock is ticking down to the launch, and we look forward to seeing how the team has figured out their development roadmap. Bereev will have a full launch in April 2018, but users can sign up for the platform’s beta version here.